On a perfect springtime evening, a field of firewheels (also known as Indian blankets) rests quietly under a cypress tree. 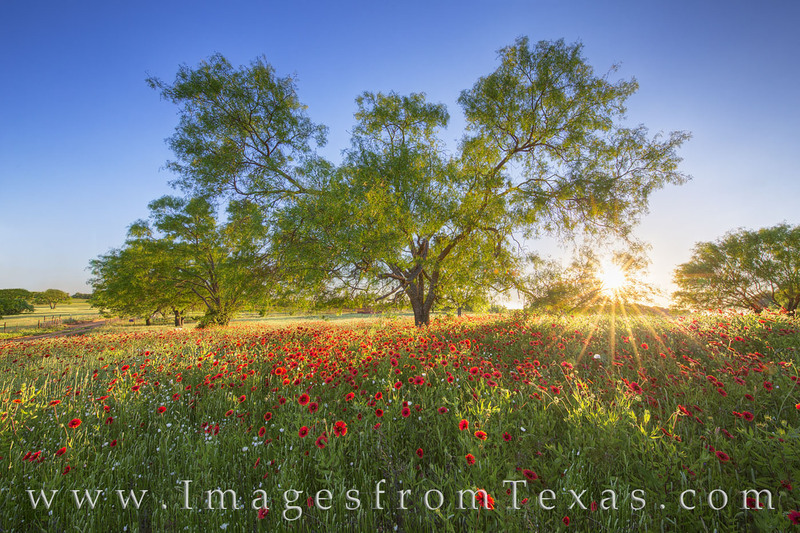 This May sunset image was taken on a dirt road in the Texas Hill Country as the last rays of sunlight streamed through the leaves. Photo © copyright by Rob Greebon.